My family loves pizza in all forms. We make regular homemade pizza, skillet pizza, pretzel pizza, breakfast pizza, pizza balls, pizza sandwiches and pizza dip. 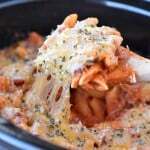 Today I’m sharing a pizza casserole recipe. One of our favorite lasagna recipes is similar to pizza since it includes pepperoni, pizza sauce and alfredo sauce. Lasagna takes a little work to make because you have to boil the noodles and then assemble all of the layers. 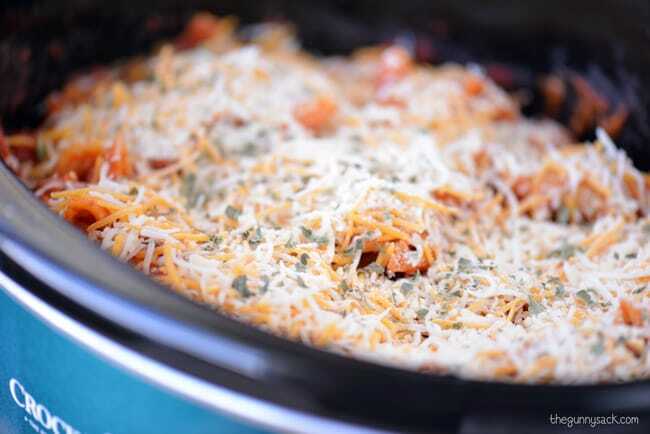 This Slow Cooker Pizza Casserole is so easy to make and the crock pot does the work! 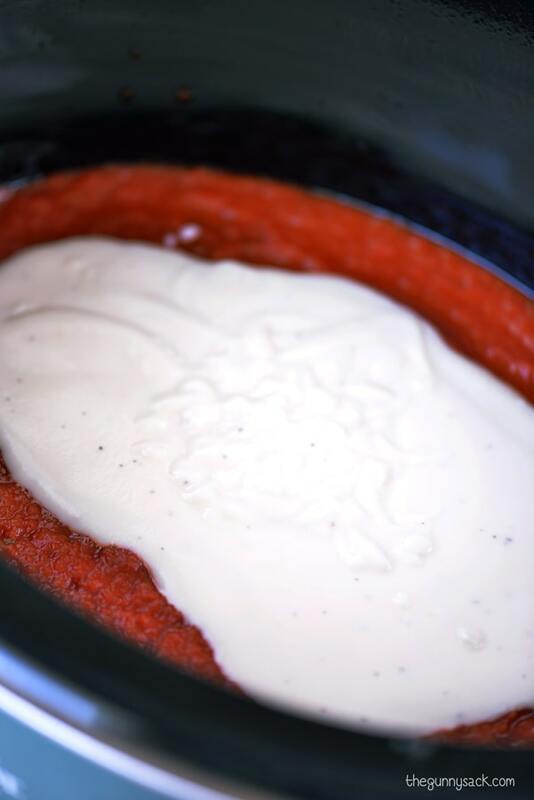 Pour pasta sauce and alfredo sauce into greased slow cooker. 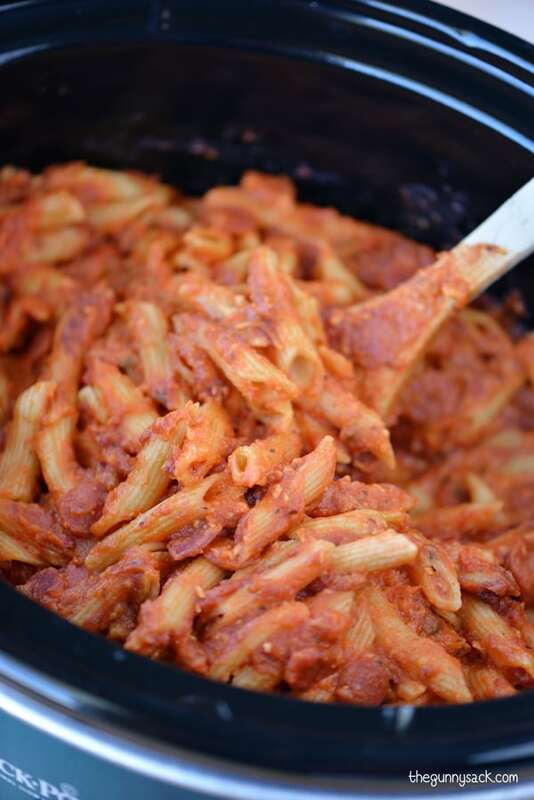 Add one pound of uncooked ziti and 1/2 cup of water. 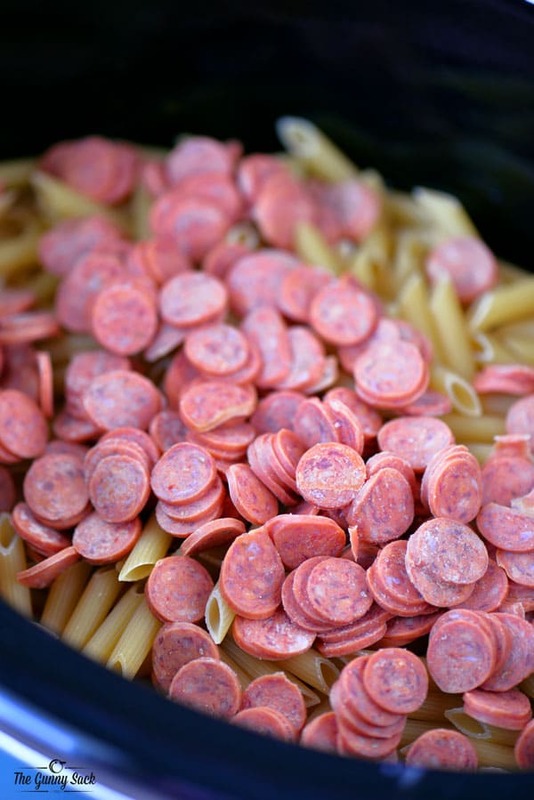 Top the noodles with mini pepperoni (or a 1 1/2 cup mixture of pepperoni and sausage). 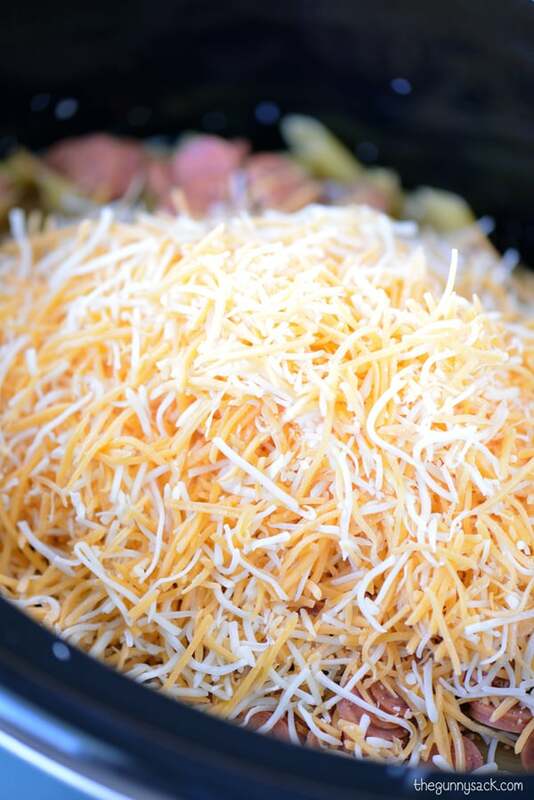 Pile on a bunch of shredded cheese. 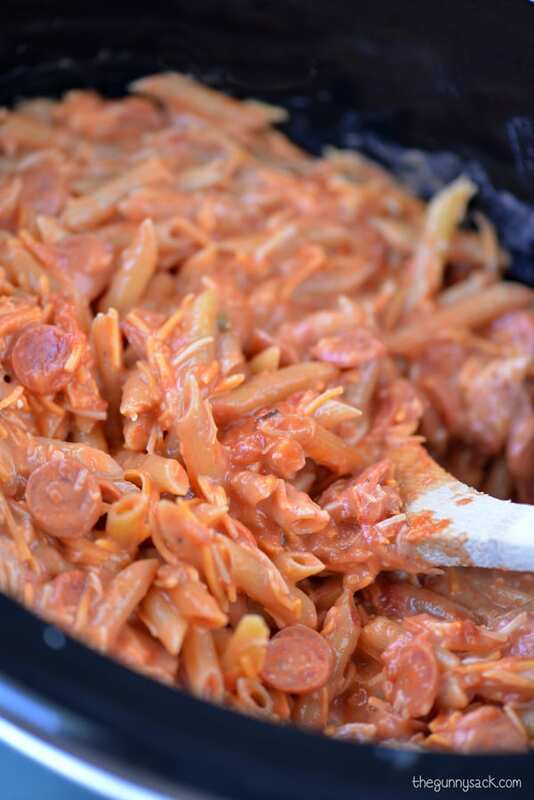 Mix together the sauces, ziti, pepperoni, water and cheese. Cover and cook on low for 3-4 hours, until the pasta is tender. Mine was ready in three hours. 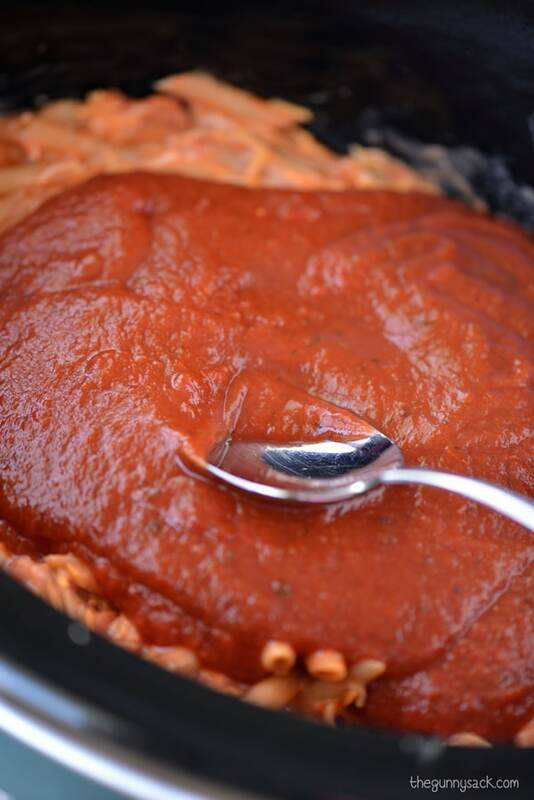 If you love saucy pasta, add some more pizza sauce to the top. Stir in the sauce and the pizza casserole is ready to eat. Or take things to the next level…sprinkle the pizza casserole with more shredded cheese, a little oregano and grated parmesan. Replace the lid to allow the cheese to melt. Top the noodles with mini pepperoni and 1 1/2 cups of shredded cheese. Top with 1 1/2 cups of pizza sauce. 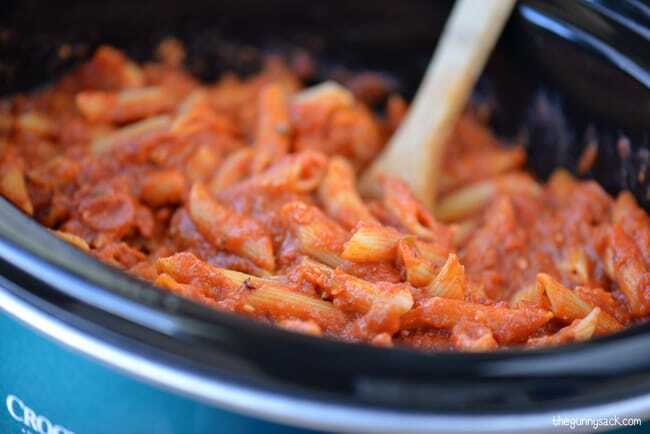 If you love saucy pasta, add an additional 1 1/2 cups of pizza sauce and stir it in. Sprinkle the pizza casserole with more shredded cheese, a little oregano and grated parmesan. Made this two weeks ago and my family’s been requesting this since! It’s so easy and tasty, thank you for the recipe! That’s wonderful! 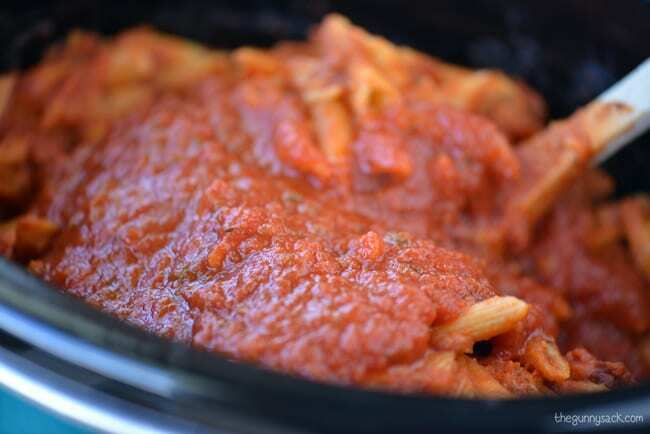 I love using my slow cooker in the summer! 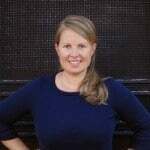 What size slow cooker did you use and what size range would work? I used my 6 quart Crockpot but there was extra room so I think you would be able to use a 3.5 to 4 quart size. Happy crocking! Don’t the noodles get gross sitting in the crock pot for 3 hours? 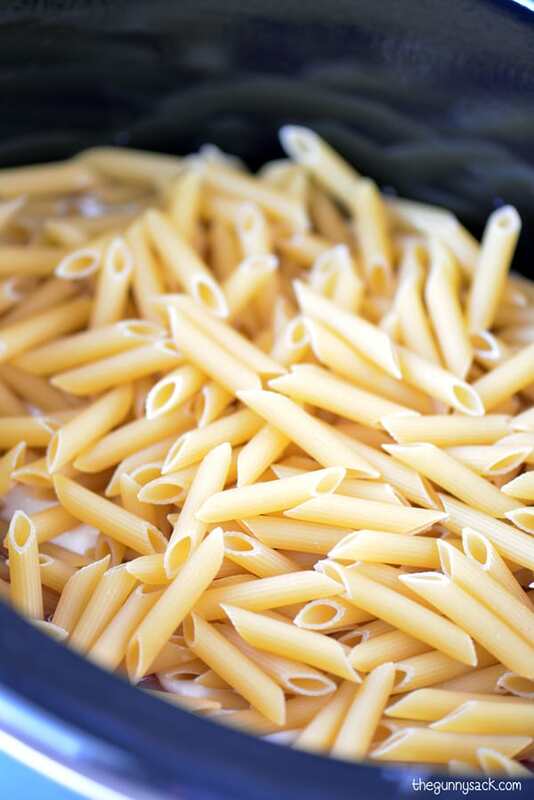 Have you tried making this with a gluten-free pasta? Oh, man. This is totally happening SOON! I love that you added regular ol’ pizza sauce AND alfredo for that creaminess. 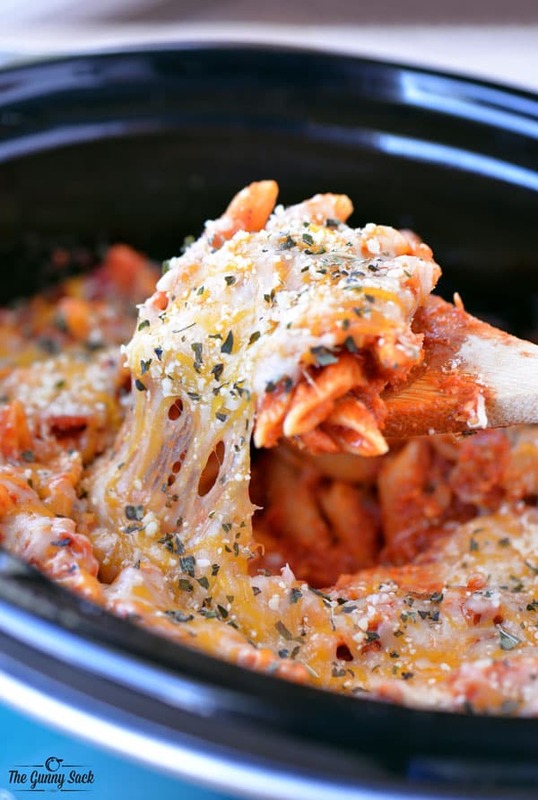 This casserole looks to-die for! We are a big pizza loving family too girl! And I know this would be absolutely adored in my house!